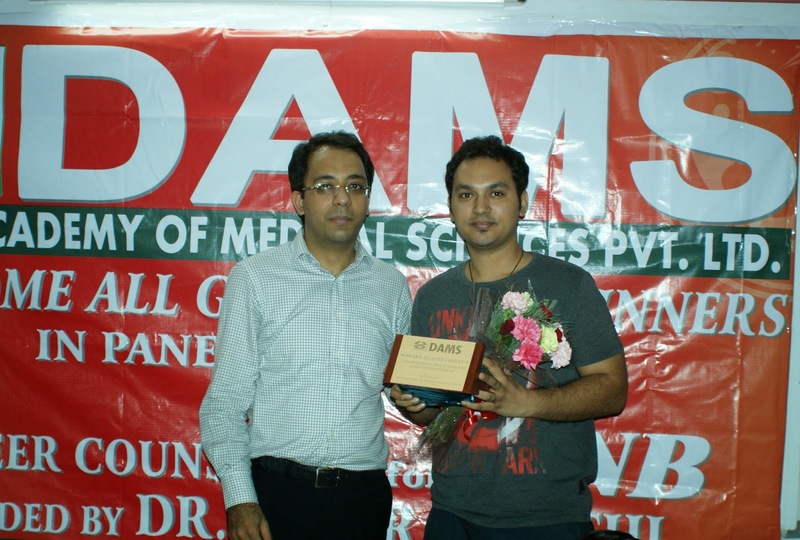 DNB Rank-85 (June 2014)DAMS: Congratulations on securing a good ranks. What is the secret of your success in this exam? Dr. Deepak: Consistency, Hardwork & never give up. Attitude is what makes a champion. I tried to follow the same path. Dr. Deepak: DAMS have been really grateful. I heartily express my Thanks to Dr.Sumer Sethi for the inspiration which he gives to every aspirant. Dr. Deepak: Radiology if get it or otherwise Orthopaedics. Dr. Deepak: Dr.Sumer Sethi, Anatomy, Micro & Physiology faculties.